Read through the Outreach Orientation (pages 9–28) and complete the four Basic Training Lessons (pages 29–61). Partner with one or two others to pray about getting a CHOP started. 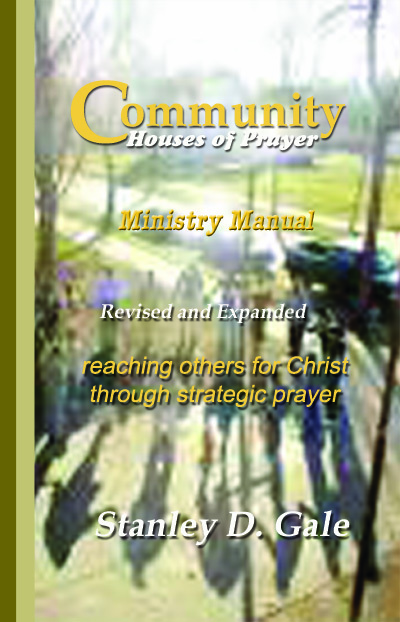 Hold an organizational meeting to (1) decide on a meeting place and time and (2) provide a Community Houses of Prayer Ministry Manual for each participant. Give assignment for pre-CHOP #1 (see below). Season of prayer for the CHOP ministry and items related to reading and lesson. Give lesson and reading for next meeting. First meeting of the 12-week CHOP. Follow the weekly meeting agenda on page 18. For review, it is useful in the first regular meeting to read aloud the description of each agenda segment before beginning that segment in the meeting. For example, before beginning the agenda segment of adoration, you would read the description of adoration on page 17 and provide additional instruction or answer any questions the group may have. The same would be done for each of the agenda segments for this first meeting.